The newly built La Quinta Inn & Suites Opelika – Auburn is conveniently situated off I-85 and minutes from the Tiger Town shopping center. Central to both Opelika and Auburn, you are close to both Auburn and Tuskegee Universities, and many of the area’s attractions and businesses. During your stay, enjoy FREE WiFi, free parking, and the delicious FREE hot Bright Side Breakfast® served daily. Pets are welcome at this Alabama hotel, and you’ll appreciate the 100-percent nonsmoking atmosphere. 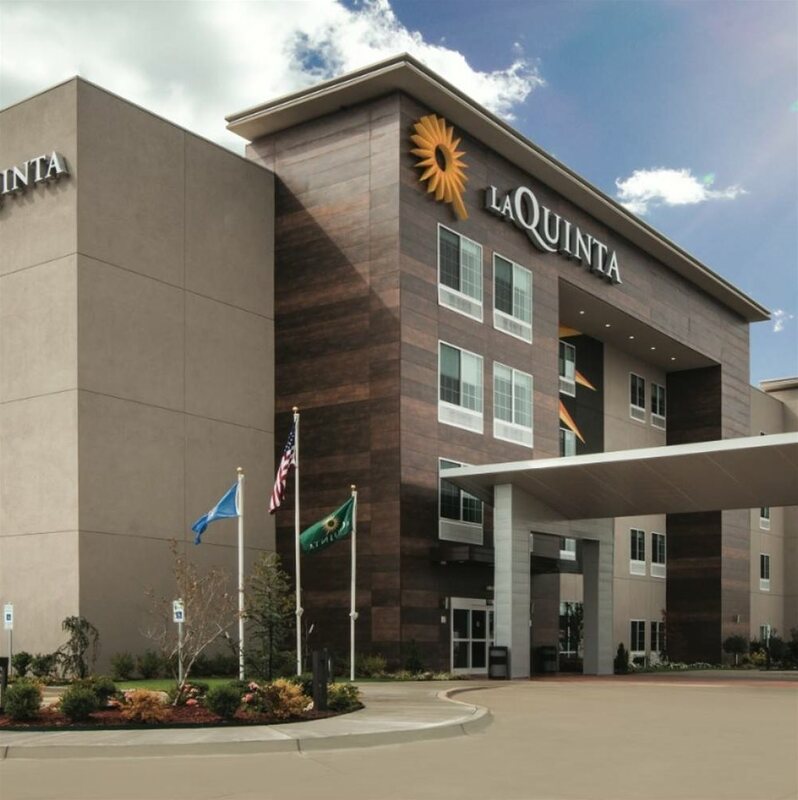 La Quinta Inn & Suites Opelika – Auburn is offering travelers an all-new experience. With updated amenities and a sleek new setting, the hotel provides guests everything they need for a pleasant stay. The spacious common areas and ample seating give you a place to sit down and to work or read among fellow guests, and the designer art, colors, and finishes throughout the hotel add a contemporary appeal. Don’t miss out on the numerous amenities available throughout your stay. The spa is ideal for a relaxing swim, and the onsite fitness center has state-of-the-art equipment perfect for your daily workout. Corporate guests can utilize the 24-hour business center, and the meeting room is excellent for a quick conference. Other features include the Bright Side Market, where you can find snacks and other sundries, and the FREE hot Bright Side Breakfast®, which has morning favorites like eggs, sausage, waffles, fresh fruit, yogurt, muffins, hot and cold cereals, coffee, juice, is served fresh every morning. The hotel also has a bar/lounge area for your evening nightcap. There are several room styles to pick from at La Quinta Inn & Suites Opelika – Auburn. No matter what you choose, you’ll have a luxurious pillowtop bed and flat-screen TV featuring HD channels and premium cable. Plus, all rooms have a microwave, fridge, coffee maker, alarm clock, hair dryer, iron, ironing board, and well-lit bathroom vanities that make it easy to look your best each day. An efficient work desk lets you set up your laptop to keep up with work, friends, or family. La Quinta Inn & Suites Opelika – Auburn is ideally located to reach many area destinations. Head over to Tiger Town to peruse dining options, or visit area attractions like Opelika’s Main Street and the Pepperell Mill Village, or historic Railroad Avenue. Outdoor lovers will enjoy hiking, swimming, or picnicking at Chewacla State Park or visit Lake Saugahatchee, Lake Harding, or Lee County. If you like to play a round of golf, tee off on 54 championship holes at the Robert Trent Jones Golf Trail at Grand National. Corporate guests find it easy to access many of the area’s businesses. The hotel is a short drive from Opelika’s business district, Auburn Research Park, and Auburn Industrial Park, and you’re in close proximity to area businesses, such as Wooshin, Donaldson, Briggs and Stratton, Gambro, Mando, West Fraser, and East Alabama Medical Center. Book a spacious room and take advantage of comforting amenities at the new La Quinta Inn & Suites Opelika – Auburn. Numerous attractions and businesses are within a short distance of the hotel. Come see why guests of the hotel will find it easy to wake up on the bright side®.